Lindeman Island is just to the south of the main group of modernly frequented islands. But it has been at the centre of European activity and indeed tourism around the Whitsundays since the 1920s. 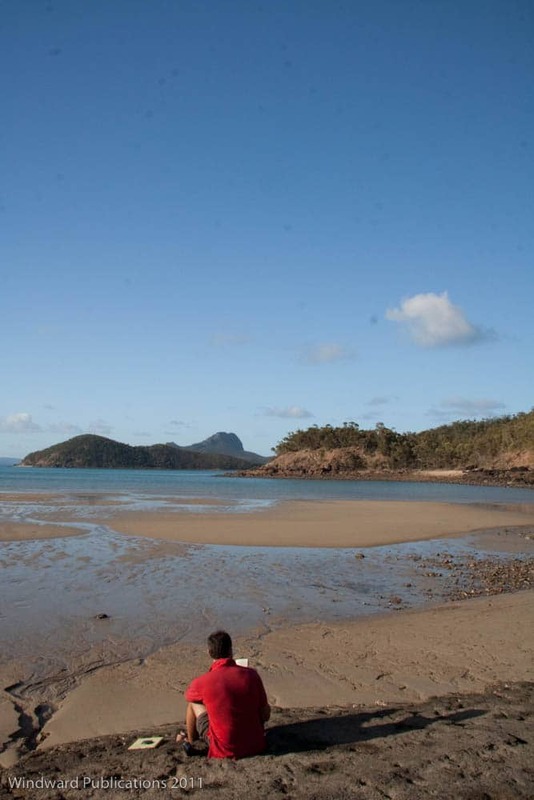 If you are interested in the history of this area we would recommend reading – Ray Blackwood’s The Whitsunday Islands – An Historical Dictionary. It’s no ‘Game of Thrones’, but it is fascinating. With a somewhat checkered history in Anglo-Australian settlement of the area, Lindeman was sadly the scene for a grizzly murder of two white sailors from the boat named Ellida in 1861 by the local Aborigines. The Aborigines had a camp of about 40 on Lindeman, probably because it’s one of a few with a reliable water supply. The cause of the incident isn’t known, and will probably never be known, as history only tells one version, that of the Europeans. After some moderately successful grazing, the island became one of the early sites where tourism was developed. From the late 1800s there was some grazing activity on the island, and In 1923 Elizabeth Nicholson bought the lease and with her husband, Angus, and their three children, and took up residence. This marked a dramatic turning point in the island’s history. They continued with the grazing activity that was already underway, and in the late 1920s, in conjunction with Mackay Tours Ltd., built eight grass cabins and began bringing tourists to the island, an operation that expanded over the years until 1974 when the lease was acquired by by P&O. With the addition of facilities typical of resorts today, Lindeman passed into the next era of tourism. 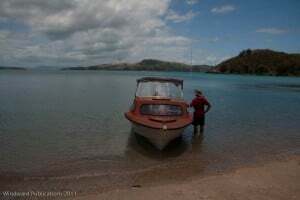 Boat Port, the north-western bay of Lindeman Island, is well protected from the prevailing southeasterly breeze and is an ideal careening beach (a place to run your boat ashore when the tide goes out so you can clean its bottom ). As tourism grew, so did the size of the island’s boats, and in the ’60s they erected some large piles in the mouth of the creek to dry-dock the larger boats. These piles still exist today and remind us of a nostalgic period when the Whitsunday islands were family businesses. If you are boating in the area and moor at Boat Port, expect a long row into the beach, because at low tide, the sand flat dries a long long way out (at least 300 metres). Equally, this can be challenging if you want to come ashore for a walk and need to leave a heavy dinghy ashore when the tide is going down. Caution is to be taken as you could easily find yourself marooned for quite some time waiting for water to return to the bay. Images: View from Mount Oldfield to Shaw Island. Images: A quick stop-off at Neck Bay, Shaw Island. A collection of debris on the eastern side of Shaw Island. A great stop-off in the Lindeman area is the campsite at Neck Bay on Shaw Island immediately to the east. This is a beautiful sand beach which features a similar drying flat as does Boat Port on Lindeman. There’s also a short walk to the other side of the spit that forms Neck Bay (it is essentially a vegetated sand dune that separates the ocean to the east from Kennedy Sound), where one can feel wind-swept and play spot-the-thong. There’s a lot of plastic bits and pieces jetsom washed up on a easterly-facing rocky beach. Flip-flops seem a popular item. There is quite a contrast between the two sides of the same spit. If you hop across the tide-swept Kennedy Sound to Seaforth Island, which is only small and close by south of Lindeman, you’ll find picnic tables, some bush loos and a small circuit walking track through dappled sunlight to pretty views toward Shaw Island. Orchid beach faces Lindeman Island and is pleasantly sheltered from the southeasterly and tide chop. It’s a nice little spot, perfect for playing a scene out of Swallows and Amazons or Famous Five, sailing a dinghy loaded with a picnic of cucumber sandwiches and lashings of ginger beet. ‘Unfortunately’ it’s a National Park, so Timmy the dog will need to stay home. Lindeman Island does not currently have a resort and is undergoing redevelopment.